Happy Birthday to my older sister! 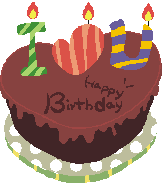 It is one of those birthdays that sneak up on you and you can’t believe that it is that birthday already. Hip Hip Hooray for you! In honor of her birthday, I have chosen today’s book rather than just picking out of the pile. If you have read this blog before, you know that Madeleine L’Engle is one of my all-time favorite authors. And this sweet book is a Christmas treat. The book is narrated by Vicky Austin. She is seven years old at the time of the story and she is very excited about December. In the Austin household, December not only means Christmas but it also means that each day of December they do something to prepare for Christmas. And on top of that excitement, Vicky is going to be the angel in the Christmas play. Vicki feels that she is the ugly duckling of the family and is worried that she will ruin the play with her awkwardness. The children keep hoping for snow but as each day passes the December snow is absent. On the thirteenth day of December, Vicky is told that she is doing so well with her part that she is given some lines in the play. The director also mentions that they miss Vicky’s mother in the choir. Vicky’s mother is not currently in the choir because she is pregnant and due to give birth in early January. And then the director said something that Vicky had never even considered. “I wonder if she’ll be in the hospital for Christmas?” Those innocently spoken words shake Vicky to the core. Vicky seeks assurance from her parents that her mother will be home on Christmas but they are honest and tell her that babies come on their own schedule but that everything will work out. On December 23, the snow starts and it has a big influence on the rest of the story. This book is part of the L’Engle series about the Austin family. While published first, Meet the Austins, actually takes place five years after The Twenty Four Days Before Christmas. There is also a short story, A Full House: An Austin Family Christmas, which takes place about a year before Meet the Austins. After Meet the Austins, there are four other books with the Austin family. They are (in chronological and publication order) The Moon by Night, The Young Unicorns, A Ring of Endless Light and Troubling a Star. The Twenty Four Days Before Christmas is a wonderful book about Christmas traditions and the joy that children find not only in Christmas but in the preparation for Christmas. 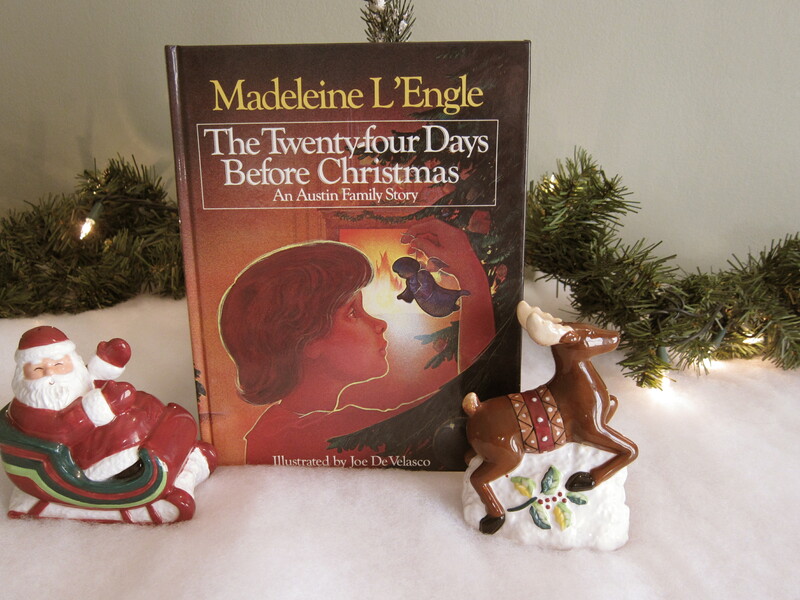 This entry was posted in Talking Books and tagged children's Christmas books, children’s books, Christmas books, Madeline L'Engle, The Austin Family Series, The Twenty Four Days Before Christmas. Bookmark the permalink. There are so many to choose from! If you pick one up, let me know! I’ve been waiting for this one:) Must re-read in the next few days! A major Christmas favorite for both of us! I thought I’d seen all of L’Engle’s books. This is a new one to me. Like Veronica said, it sounds sweet. Ah ha! I got you, huh? It is an easy one. I loved L’Engle when I was growing up, but I haven’t heard of this one before. I am definitely going to find it and read it. Thanks for the heads up! I hope you enjoy it. It is a sweet little story.